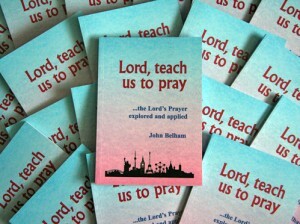 Rather than a prayer to be repeated, the Lord's Prayer is more like a magnificent house to explore. For those who will accept it with wonder and a humble willingness to learn, the Lord’s Prayer is an invitation to be greatly treasured. Rather than a prayer to be repeated, the Lord’s Prayer is more like a magnificent house to explore. It will move us to trust, challenge us to give and stir us to worship. It will show us the depths of our unforgiving hearts and teach us to walk warily. Above all, the Lord’s Prayer will open our eyes to see what it is to live with the single aim of bringing the glory of our heavenly Father. Rather than a prayer to be repeated, it is a magnificent house to explore. On this site, we offer the whole text of an easy to read study of the Lord’s Prayer, this potentially world-changing prayer. 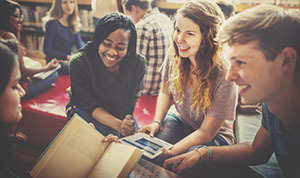 Read it at a sitting, listen to the reading podcasts from the author, explore it a little day by day or discuss it in a group using the questions at the end of each chapter. It is our longing that it may be used widely for the encouragement of God’s people and it is therefore offered on special copyright terms. While stocks last, copies of the original paperback book are available from the publishers. Click here for further details. The podcast text is also available for Kindle here or search for ‘Our Father in Heaven: Exploring and Applying the Lord’s Prayer’. You may also be interested in Exploring and Applying the Parables. Main picture – London, The Mall looking towards Buckingham Palace.